MEAD Plant are pleased to announce a new range of Perkins powered generator sets, manufactured in the UK to the highest standards, using proven, built to last, cost efficient Perkins technology. 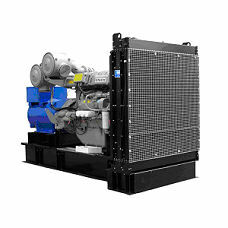 The range encompasses sets from 9kVA through to 2000kVA using tried and tested engine and alternator combinations. As standard Mecc-Alte alternators are used, although Newage Stamford can be specified as an option if required. All sets utilise an integrated Deep Sea Electronics Control Module to provide the optimum in ease of use. British steel base frame, coated with polyester powder coat at over 200 Degrees C.
High quality, ISO R898 Structural Bolts, zinc coated for excellent corrosion resistance. Control panel has remote start (2 wire start) as standard using a UK made DSE 7000 series control module including monitoring of engine and generator functions with multiple generator protection shut-down settings. Radiator fan and battery charging alternator fully guarded. Unit is forklift-ready allowing easy positioning on site. 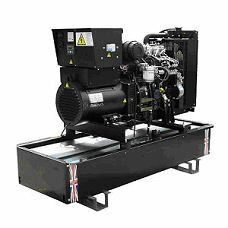 For sizes up to 2000kVA please contact us for specification & prices. Full technical specifications including weights & dimensions can be provided on request. Prices are ex works, exclusive of VAT.